‘Tis the season for holiday cheer – and what’s more festive than a delicious local brew with classic holiday flavors? Decaturish has rounded up a guide to some of our favorite local holiday beers for your drinking enjoyment. Recently named “Best Local Brewery” by Creative Loafing, Monday Night got its start more than a decade ago when a small Bible study group decided to try their hands at homebrewing. With two locations (one in West Midtown – and a hip new Garage location in the West End), Monday Night churns out well-known beers including Fu Manbrew, Blind Pirate, Slap Fight, Drafty Kilt, and others. Their necktie symbol is a nod to the years that founders Jeff Heck, Joel Iverson, and Jonathan Baker spent working in office jobs, while their name is a reminder to make the most of each day of the week. 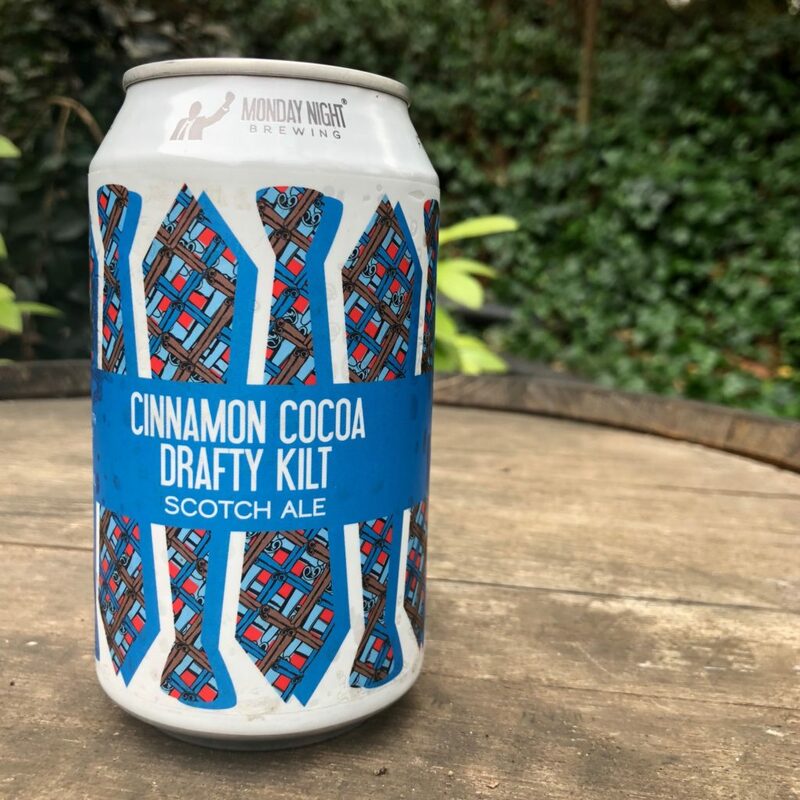 Cinnamon Cocoa Drafty Kilt (or CCDK) is a seasonal variation of Monday Night’s classic Drafty Kilt Scotch Ale. 2017 marks the second year that CCDK been brewed. As a holiday treat, the Monday Night brew crew adds cinnamon and cocoa nibs to their already-delicious Drafty Kilt. Cinnamon adds a classic holiday flavor, while cocoa nibs add a touch of indulgence to the beer. Refined notes of spice and dark chocolate abound, making this 7.2 percent beer perfect for a cold winter (week)night. Try It on Tap: This will be a brewery-only release. Come to either of Monday Night’s locations (West Midtown or The Garage) to try it on tap. Take It Home: Cans will also be available for “take home” purchase starting December 21 at Monday Night’s West Midtown location. Background: Best known for its popular Emergency Drinking Beer, Wild Heaven is a seven- year-old brewery based in Avondale Estates. 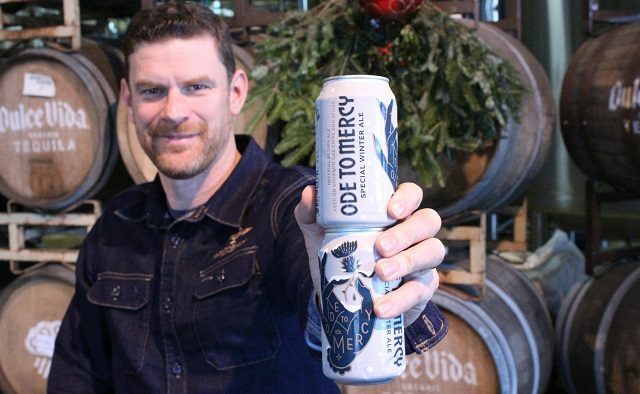 It was founded by lifelong Georgians Nick Purdy and brewmaster Eric Johnson to help elevate the southern beer scene while also exploring European beer traditions. Their all-grain, no adjunct-sugar philosophy creates big flavor without excess alcohol. This brew (based on Wild Heaven’s year-round regular Ode to Mercy) is a complex, decadent imperial brown ale with locally roasted and ground coffee plus Bulleit Bourbon-soaked oak chips and a holiday spice addition of nutmeg, cinnamon, and allspice. Try It on Tap: Swing by Wild Heaven’s taproom to try it on draft. As a very limited seasonal release, this beer will also be available on draft at a few select locations around town. As of press time, Decaturish was still waiting on a list of restaurants that will have this beer on tap. 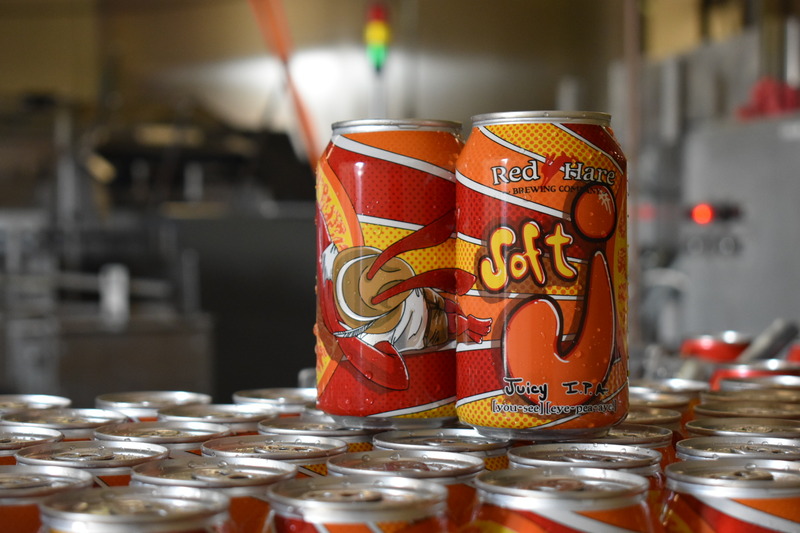 Take It Home: How to Buy: 4-pack cans are available at package stores around town. The oldest craft brewery in Marietta, Red Hare was founded by Roger Davis and Bobby Thomas in 2011. Red Hare brews five year-round beers including the Gangway IPA, SPF 50/50, Long Day Lager, Gem City Classic Light American Lager, and the newest addition, the Soft J IPA. While not technically a seasonal or holiday brew, the Soft J IPA has flavor notes of orange and tangerine that feel seasonally appropriate at any holiday gathering. This beer is a New England Style IPA, the newest beer craze known for its hazy pour and big, juicy flavor. With an ABV of 6.8 percent, the Soft J IPA packs a solid punch, while its fruity flavor keeps it drinkable and refreshing. Try It on Tap: The Soft J IPA is on tap at Red Hare’s taproom. Take It Home: The Soft J IPA will be released for can sale in late 2017 and early 2018 in GA, SC, NC, TN, and the Florida panhandle. Orpheus Brewing focuses on new hops, wild fermentations, and barrels, always committed to creating beers that live up to the motto “Don’t Look Back.” They’re based in the heart of Atlanta, overlooking Piedmont Park and Atlanta Beltline. 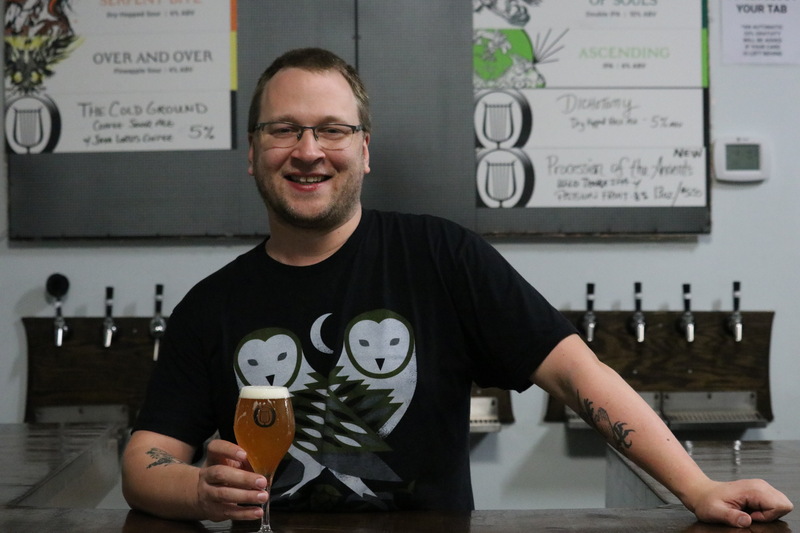 While working as a professional trumpet player, Brewmaster and President Jason Pellett started developing Orpheus Brewing because he felt Georgia’s beer scene had room to include some additional types of beer that he wanted to drink, particularly sour beers. Sykophantes Blanc is a strong golden sour brewed with golden figs and apricots. The beer started as a variation on Orpheus’s fall fig sour, Sykophantes, which is sort of a soured Belgian-style dubbel, a rich, dark, 7.5 percent sour brewed with black mission figs. Sykophantes Blanc is based more on a soured Belgian-style tripel. Removing the dark malts, using golden figs and apricots, and increasing the brew to 9 percent ABV leads to a complex, warming, vinous beer that retains the richness of the original, but features bright, tart fruit. Try It On Tap: Sykophantes Blanc will be available on draft at Orpheus Brewing and throughout the state. Take It Home: Six-pack cans will be available for purchase at Orpheus and at your local package store. Eventide’s motto is that great doesn’t have to be complicated. Formed by three college friends (Nathan Cowan, Haley Cowan, and Geoffrey Williams), Eventide churns out delicious beers and also encourages creative pursuits with their monthly “Curiosity Club,” a series of lectures and workshops produced in partnership with The Homestead Atlanta. Operating out of Grant Park, Eventide is well-known for their Kolsch, a style that has been in existence for more than 100 years but only recently become popular. Eventide’s seasonal release, Kattegat, is a 7 percent ABV Baltic Porter, so it’s a bit lighter than their year-round Robust Porter. Its clean profile makes it perfect for holiday gatherings when you might be pouring back a few drinks. Flavors of dark sugar and dark fruit conjure up visions of sugarplums, with just enough chocolate and coffee notes to bring everything together. 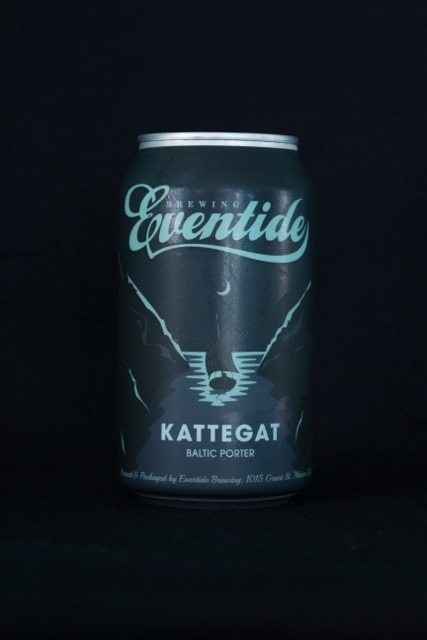 Try It On Tap: Try Kattegat on draft at Eventide’s tasting room through February (or until it runs out). Or, buy a can at Mix’D Up Burgers, Mediterranea, Georgia Beer Garden, Argosy, and Aria. Take It Home: Currently, cans are available at Eventide as well as at Hop City, Green’s on Ponce, and My Friend’s Growler Shop. 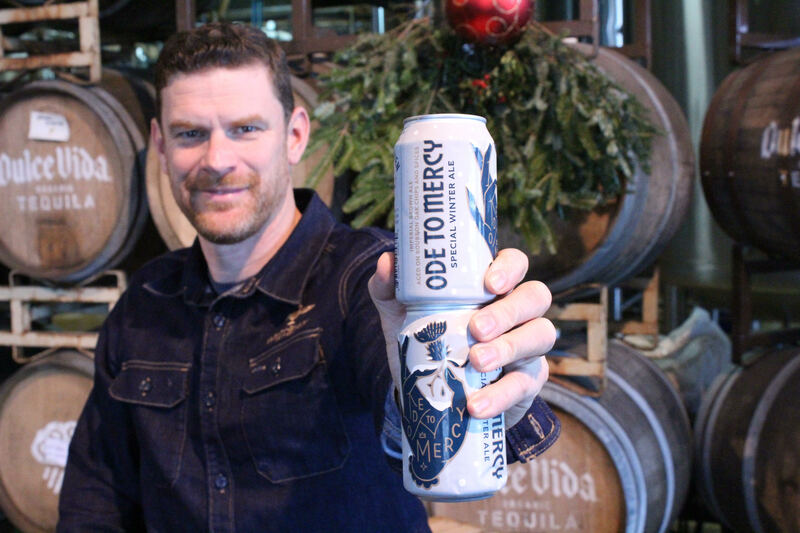 This holiday season, treat yourself to a pack of one of these delicious local beers; they’re the perfect addition to any holiday party, and they also make an ideal host/hostess gift. For hassle-free holiday shopping, a six-pack in a festive bag with tissue paper is a surefire gift for any beer aficionados on your list. Hoppy Holidays!